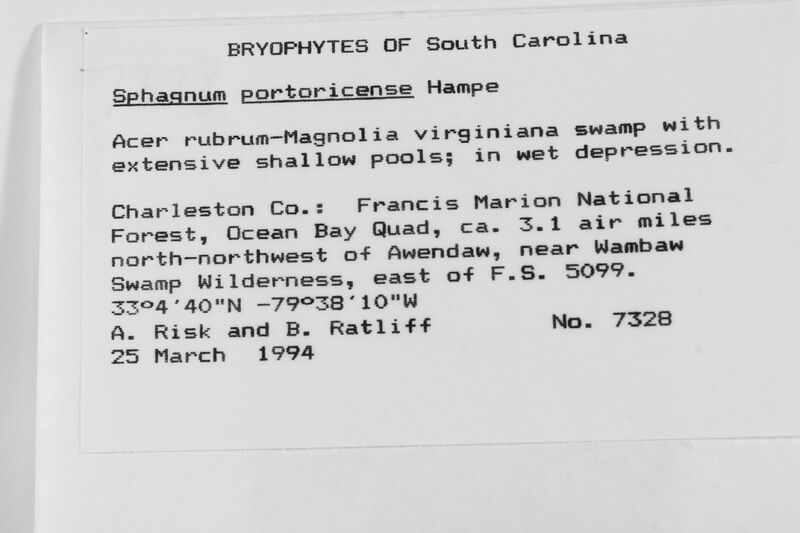 Locality: United States, South Carolina, Charleston, Francis Marion National Forest, Ocean Bay Quad, ca. 3.1 air miles north-northwest o-f Awendaw, near Wambaw Swamp Wilderness, east o-f F.S. 5099. Habitat: Acer rubrum-Magnolia virginiana swamp, with extensive shallow pools; in wet depression.